SeaWorld Entertainment and Sesame Workshop have announced the extension of their 37-year-long partnership today, as well as the development of a new Sesame Place theme park in the U.S. Currently, there is only one Sesame Place park, located in Langhorne, Pa., nestled between New York City and Philadelphia. This new addition to SeaWorld Entertainment and Sesame Workshop’s agreement will extend SeaWorld’s place as Sesame Workshop’s theme park partner, and their second Sesame Place park is set to open no later than 2021. The location for this new park has yet to be determined. After the second Sesame Place has opened, it will be possible for SeaWorld to open more Sesame Place theme parks around the country. 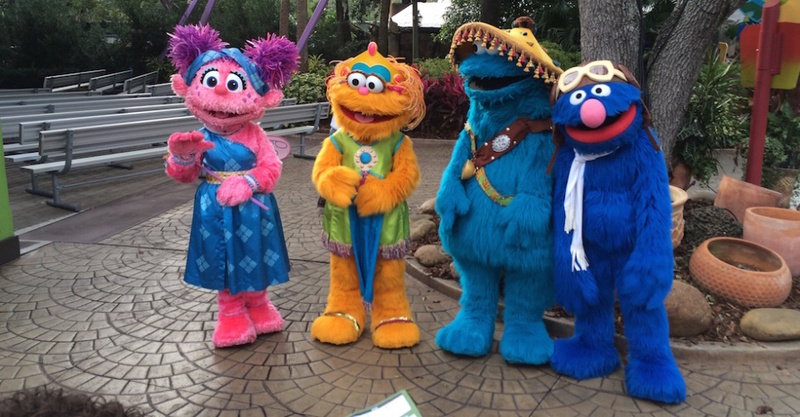 This agreement also allows for the beloved Sesame Street characters to continue to meet in the Sesame Street-themed lands inside the two Busch Gardens theme parks, as well as the SeaWorld parks in San Antonio and San Diego. SeaWorld Orlando will also receive a new Sesame Street-themed land by fall of 2022. Sesame Place features a variety of family-friendly rides, water slides, parade, live character shows and seasonal events that bring the world of Sesame Street to life. This partnership also embodies Sesame Workshop’s mission to social impact with its Sesame Place Cares annual events both inside and outside of the park. This also includes their 30-year-parnership with Variety – The Children’s Charity, which focuses on providing events with a fun and safe environment specifically aimed toward children with disabilities and their families. With this new license agreement, both SeaWorld Entertainment and Sesame Workshop have agreed to extend their partnership through December 2031. For more information on Sesame Workshop, visit sesameworkshop.org. To learn more about the current Sesame Place theme park in Pennsylvania, visit sesameplace.com. Sesame Place is the best, I have work there for 7 years, it’s like a second home to me.